Acnexus is a one step all-natural acne treatment scrub containing 27 different ingredients. Despite a massive ingredients list the makers have included no Harsh Soaps, Benzoyl Peroxide, Paraben,s or other harmful cleaners or abrasives. Without all of those typical ingredients and chemicals, will Acnexus still have what it takes to be effective? Let’s find out. One of the key ingredients White Willow Bark is an all natural source of Salicylic Acid. 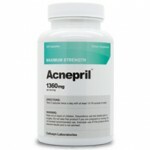 Salicylic Acid besides being an all-natural form of aspirin has also been shown to have exfoliating and antiseptic properties that help prevent dead cell buildup, one of the key causes of acne. 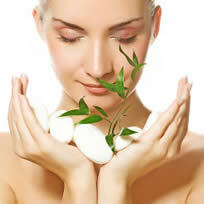 Another ingredient, Aloe Vera is probably one of the most well known all-natural skin treatments. In fact, anyone that has ever used it to treat any kind of burn (sunburn of otherwise) can attest to its healing and soothing effects on the skin. Also included within the ingredient list are Chaparral and Gotu Kola, both have been used for years by early Native Americans to care for and protect their skin. Chaparral was originally used as an all natural sunscreen; while Gotu Kola has been shown to help heal and strengthen the skin. In addition to the many other ingredients Acnexus contains 12 different all-natural oils. These oils include Vitamin E oil, Jojoba oil, Bergamot oil, and many others. Bergamot oil has antiseptic qualities, killing some acne causing bacteria; while Vitamin E has been shown to aid in healing and reducing the appearance of scars. 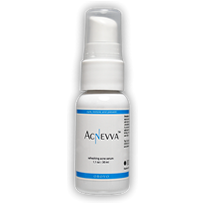 Acnexus is a good formula that contains many proven acne ingredients as well as some that may yet be proven. While it is good scrub it scored poorly on overall effectiveness as it mainly treats the symptoms with very little to attack the cause of Acne.